and offer the best rates while working with Les Liens du Son. Here is our own private facility. 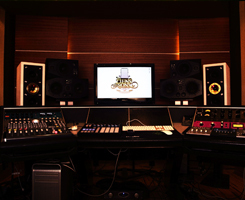 Located inside the Twin Studios in Paris, France, the room is set up around a Protools HD3 rig with 192 and Lynx Aurora interfaces. The SSL XDesk is the centerpiece of analog hardware, dealing with outboards such as Vertigo VSC-2, Elysia MusEq, Anamod 670, AlSo Dynax. This room is up for any production/mixing work for a low rate. One of our best partner here. Located near in a 250 ha park in Sologne near Orleans (About 1hr30 drive from Paris), the studio is an amazing recording and mixing facility with large live and control rooms. Equipped with hi-end outboards and a growing backline, the studio responds to the most demanding recording and mixing specifications. It also offers an 8-bed apartment and especially a peaceful environment, to give the best working conditions possible. Working there is a real pleasure ! 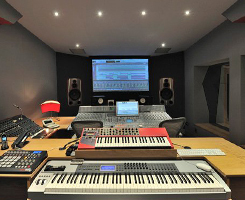 French composer Karim Succar private studio, Studio 73 is simply one of the best rooms in Paris. Vintage and modern equipment live in harmony in this astonishing facility, provided with the best of what any engineer would love to have : Neve BCM beside a Digidesign Icon, Shadow Hills mixer & 500-series racks filled with API, Realios and Chandler modules, Drums, piano, guitars and synths... Nothing's missing! Add a touch of daylight and the owner sympathy and you have here a beautiful studio to work in. Setup around a SSL 9k and TAD monitors, Twin Studios A room is a renowned facility that saw a lot of french and foreign artists through the years. 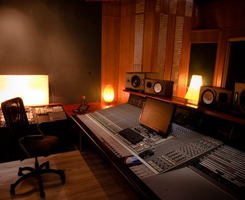 The large desk and hi-end outboards are ready for any kind of project and offer a very nice place to mix in. 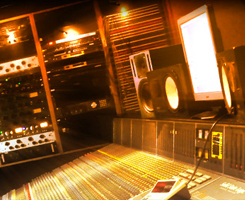 Lockout Studios is the perfect place for indie bands and labels who are looking for a nice studio on a budget. 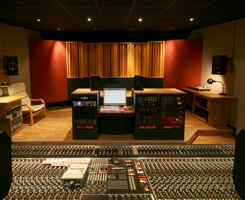 The facility is built around a pretty rare SSL 8000 and gathers both modern and vintage equipment.